These refined sugar free treats are really easy to make and are loads of fun for little foodies. (I don’t know about you but my kids love anything in fancy shapes!) This was my first attempt at making these so there’s a few things I’d change if I made them again (just with the presentation) but I’ve added my top tips based on my mistakes in the recipe below! 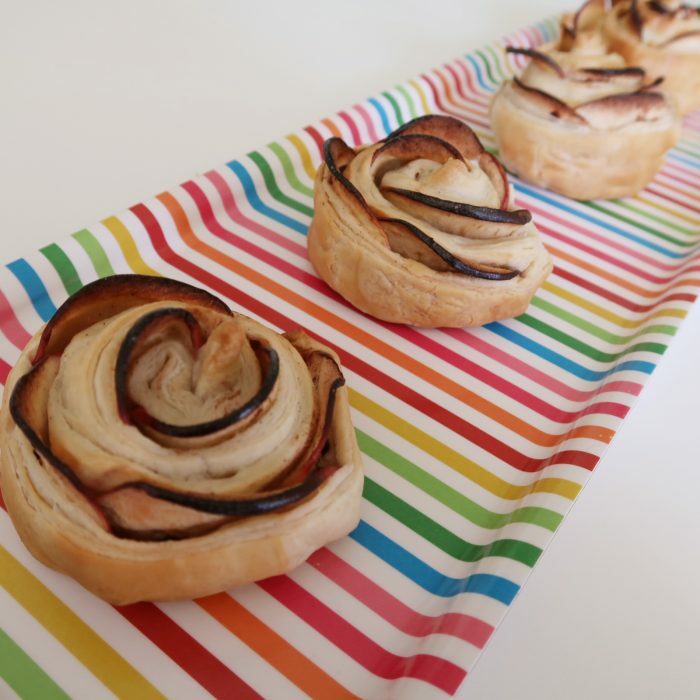 My biggest tip when making these is to slice the apple as thinly as you can, otherwise they snap when you roll them like some of mine did here. Also, make sure you leave the pastry out of the fridge for 15 minutes before you use it to avoid it cracking. If you’re wondering the leaves in the photo above are spinach and the stems are cucumber. Honestly, they were purely for presentation but having them served next to a sweet treat did tempt Harry to nibble them which was an added bonus! Cut the puff pastry into 5 equal strips, approximately 5cm wide. 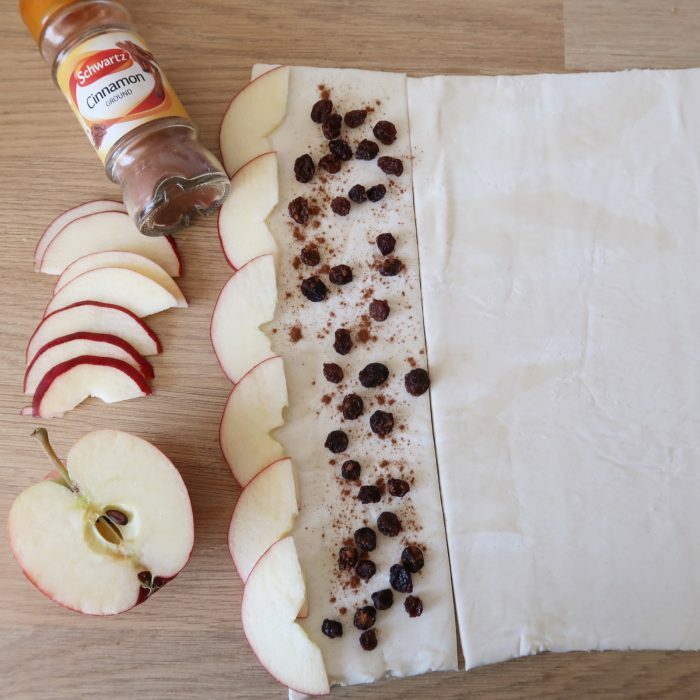 Place the slices of apple along one edge of the pastry, slightly overlapping, then sprinkle the cinnamon over the pastry and gently press in the raisins so they’re evenly distributed. 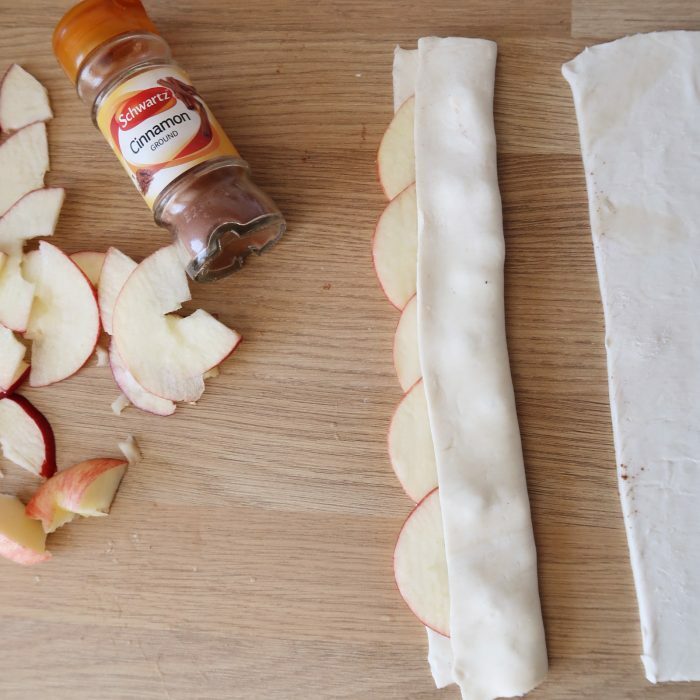 Carefully fold the pastry strip in half. Roll the strip carefully into a spiral. (Like when making pinwheels! 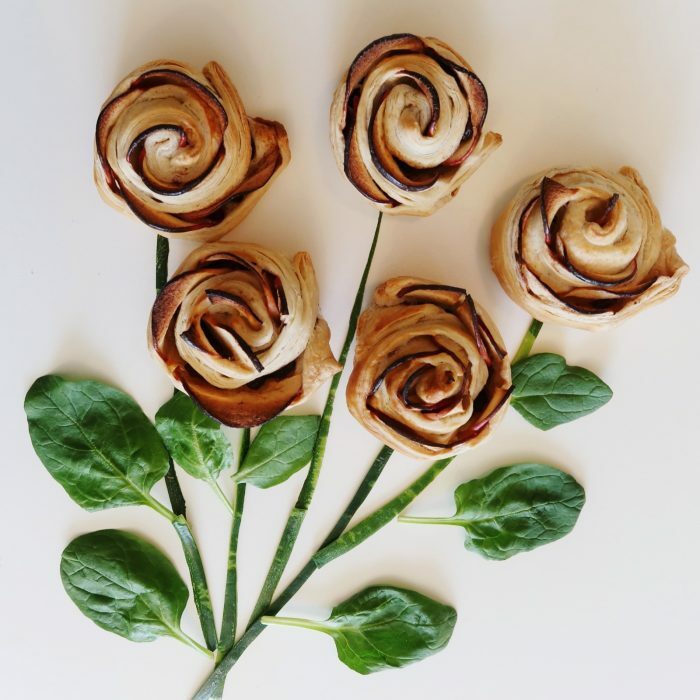 Place your ‘roses’ on a baking tray lined with greaseproof paper and bake in the oven for 20 minutes, until the pastry is crispy and golden. Serve and enjoy! These are naturally sweet but you could drizzle with some icing sugar too if you wanted to make them a little bit naughtier!